In the eternal fight between God and Devil we will find a special place called Hellcorp, where the sweet Devil has decided to make a little business with his work and change a little bit his boring life… But before the big start he has decided to take some holidays (something he really needs and desires) but of course the Almighty will ask him for a little favour… simply solving an ancient crime, really, really easy as you can imagine! This had been a fantastic read; with dark humour and a quite interesting mystery to solve, be prepared for a devilish story and some quite interesting characters; no matter if you believe in God or not, this is a funny read for any atheist. I am not a religious person, so God and Devil don’t play an important part in my thoughts, but let me say that sometimes is interesting reading what would it be if they existed and how they would be, of course Devil has always a quite ironical humour but I am starting to see that everyone sees God with a peculiar humour too, because who would dare to contradict the Devil if is not God? But we should talk a little about the business that the Devil wants to start, Hellcorp, some courses to help humans to commit sins… lets face the truth, not every one needs help, sadly some people already know and enjoy committing sins. But it is interesting the thought that the Devil is not at all satisfied with all the sins that the humans do. He needs more and he thinks he will make money, can’t you believe it? 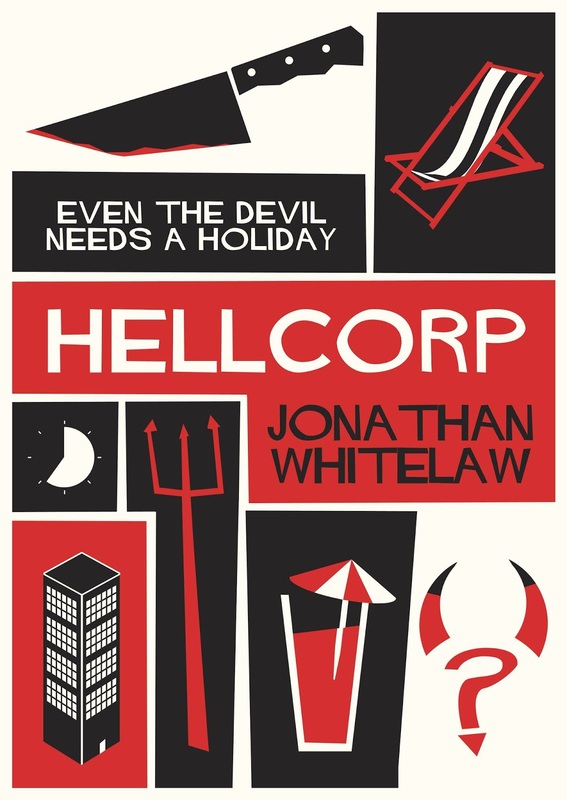 After reading this devilish read I can only hope I will read more about Hellcorp; God and Evil, because I am sure there will be more interesting cases to solve after this one. Ready to learn how to commit sins? 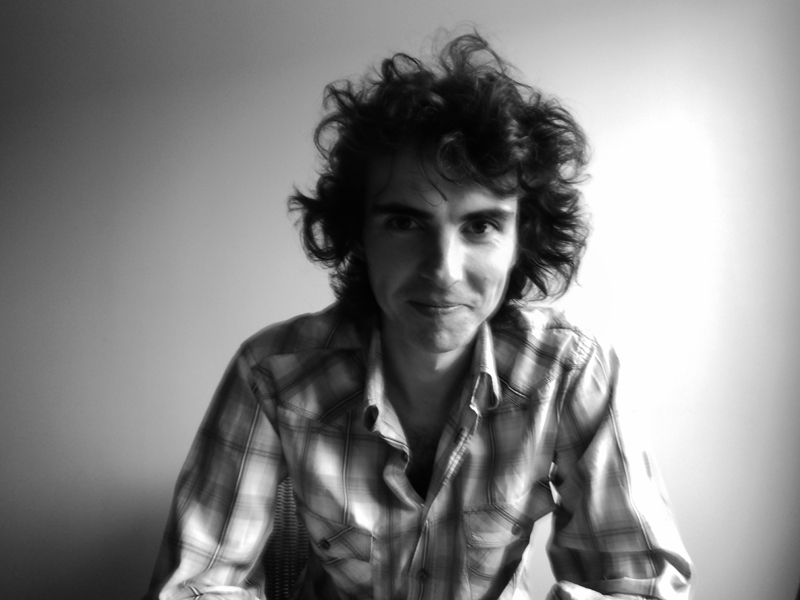 Jonathan Whitelaw is an author, journalist and broadcaster. After working on the frontline of Scottish politics, he moved into journalism. Subjects he has covered have varied from breaking news, the arts, culture and sport to fashion, music and even radioactive waste -with everything in between. He’s also a regular reviewer and talking head on shows for the BBC and STV. 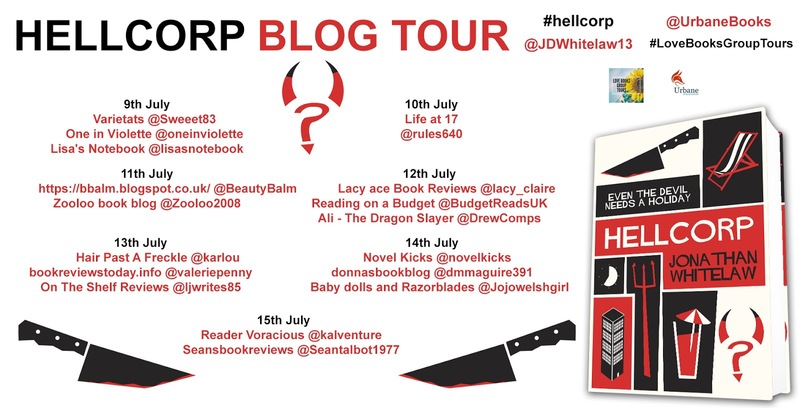 ‘HellCorp’ is his second novel following his debut, ‘Morbid Relations’.